Does The Durable Power Of Attorney Permit Agent To Make Gifts To Themselves? 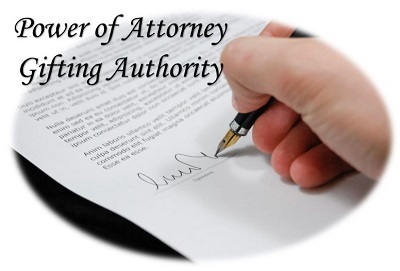 The default provisions in a Power of Attorney in New York provide that the agent may make gifts to any persons (including agent), charities, or organizations not to exceed the sum of $500.00 for any calendar year. This provision can place limitations on the ability of the agent to engage in proper estate planning on behalf of the principal who grants the power. However, the default provision is put in place to prevent any possible misconduct or fraud by an unscrupulous agent. With modifications to the Durable Power of Attorney in 2010, one such change included the implementation of the Statutory Gifts Rider. Assuming the principal agrees in the context of the POA form, the agent is able to make gifts in excess of the annual total of $500.00. The Gifts Rider and the Power of Attorney it supplements must be read together as a single instrument. There is a specific paragraph (c) in the Statutory Gifts Rider that can enable the agent to make gifts to himself or herself, and this provision must be initialed by the principal when executing the Statutory Gifts Rider. Note that the Rider must be witnessed by two (2) disinterested persons (i.e. persons who would not benefit under the terms of the Rider or POA). While the gifting provision for the agent may be of significant estate planning benefit, caution should be made when choosing an agent, and ensure that this person is loyal, trustworthy, and honest. If you need the services of an experienced New York estate planning attorney, please contact Michael W. Alpert, Esq. at (516) 280-7288 or e-mail: malpert@alpertlegal.com.